Direct Inject Box. This unit is the ultimate, multi-functional active DI box. 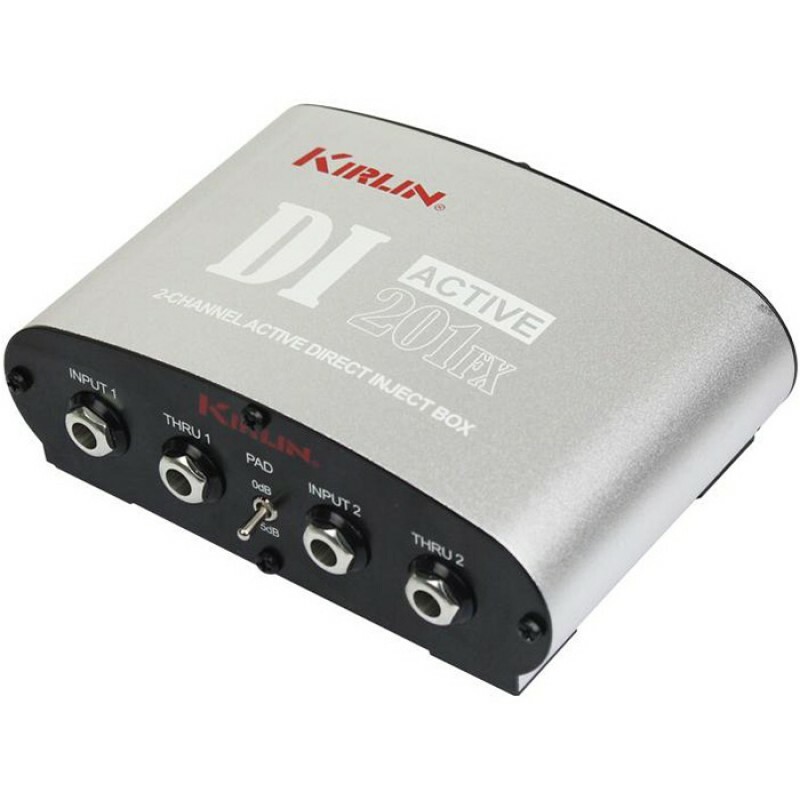 The DI-201FX has been optimized to produce maximum headroom and dynamics while working within the limited current provided by phantom power(48V). 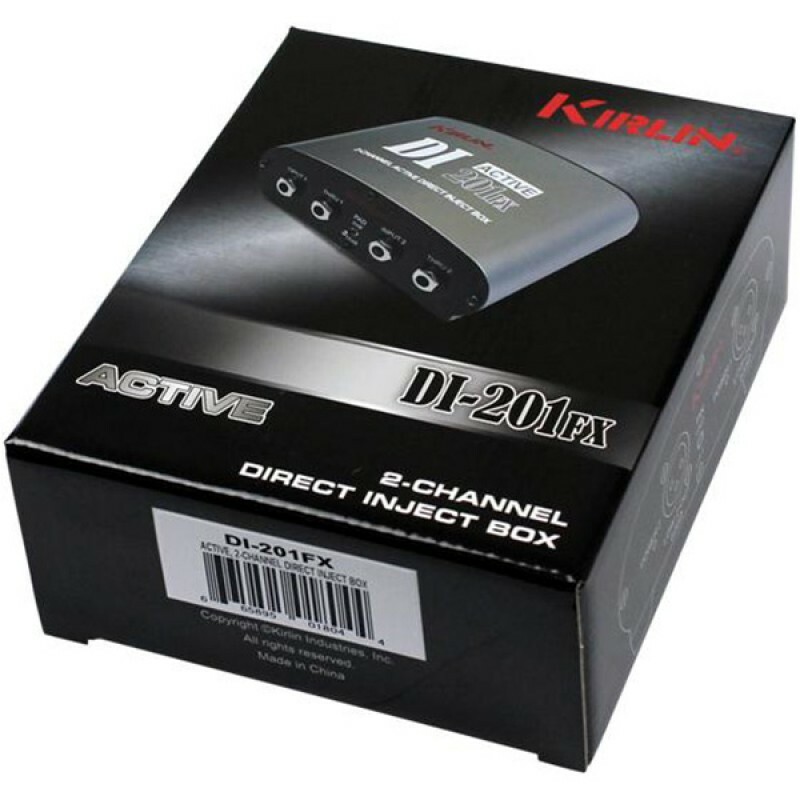 Simultaneous dual inputs and outputs for stereo or multi-source use. Eliminates impedance mismatch problems and converts any sound source at almost any level(from guitar to speaker) into a clean, powerful hum-free, noise-free and interference-free balanced signal perfect for even extremely long cable runs. Full-featured controls and connections include Ground Lift, unbalanced 1/4'' TS Input and Parallel Link Output jacks(THRU); and servo-balanced XLR Output jack. Parallel link outputs provide great flexibility allowing the PA signal to go through while maintaining an Output for reference monitoring. No compromise circuit design and stringent component selection provide an absolutely full frequency response across the entire audio spectrum, and negligible distortion for the most natural audio signal possible. Portable aircraft aluminum extruded case for ultimate roadworthiness, long life and reliability. Focusrite Scarlett Solo StudioThe Scarlett Solo USB audio interface delivers all the core elements you need to record your best performance. Though compact, it still delivers the same class-leading sound quality and digital conversion as the rest of the latest Scarlett range. It has a single natural..